(Urdu: نواز شریف, born 25 December 1949) is a Pakistani politician and business tycoon. He served for three non-consecutive terms as the Prime Minister of Pakistan, and for two terms as the Chief Minister of Punjab. A businessman and lawyer by profession, he owns Ittefaq Group, a private steel mill enterprise. He is a rich businessman and a conservative politician. His first term was shortened after the Pakistan Army pressured him to resign. In 1997, he was overwhelmingly elected for a second term by wide margins. During his second term, he notably ordered Pakistan's first nuclear tests in response to India's nuclear tests. He was ousted in an October 1999 military coup by Pervez Musharraf. He returned to Pakistan in late 2007 after eight years of forced exile. He successfully called for Musharraf's impeachment and the reinstatement of former Chief Justice Iftikhar Muhammad Chaudhry. He is an important force in Pakistani politics. 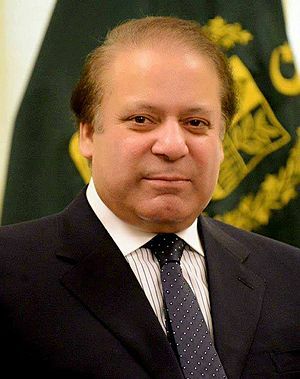 On 28 July 2017, after a direct ruling from the Supreme Court of Pakistan, Sharif resigned as Prime Minister due to his role in the Panama Papers leaks. Government College University, where Sharif studied business. Sharif along with Chief of Army Staff General Asif Nawaz during the launch Operation Clean-up in Karachi. 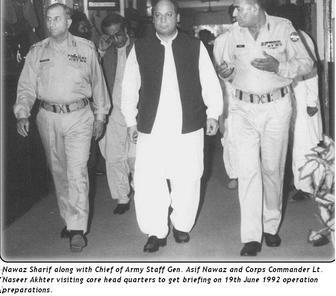 Sharif authorised the establishment of the Jinnah Antarctic Station in 1991. Prime minister Nawaz Sharif in the White House, 1998. Nawaz Sharif with Hillary Clinton in 2010. Long March led by Nawaz Sharif moving through Ferozepur Road, Lahore. Sharif addressing a rally at Sangla Hill. U.S. Secretary of State John Kerry shakes hands with Sharif in 2016, at the InterContinental Hotel in Davos. Sharif along with his cabinet members Barjees Tahir and Saira Afzal Tarar. On November 1st, 2016, Pakistan and China kicked off first trade activities under the China-Pakistan Economic Corridor project. Sharif chairing Pakistan-Britain Energy Dialogue and Investment Conference in London. Sharif with Thai Prime Minister Yingluck Shinawatra at the International Telecommunication Union's Connect Asia-Pacific 2013 Summit. Prime Minister’s Youth Programme launched in 2013. Sharif at the conference on Afghanistan in London. Xi Jinping, welcomed by eight JF-17s upon entering Pakistani airspace in 2015. 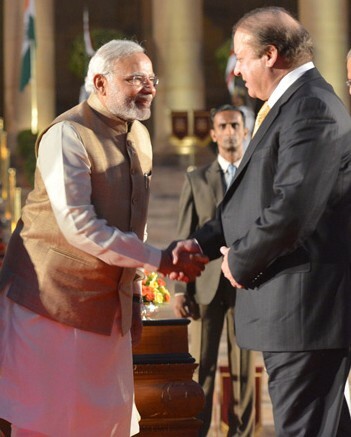 Indian Prime Minister Narendra Modi with Prime Minister of Pakistan, Nawaz Sharif. 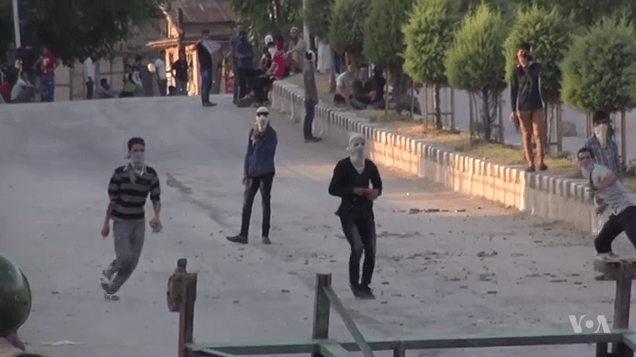 A screenshot of 2016 Kashmir unrest. Nawaz Sharif Facts for Kids. Kiddle Encyclopedia.